This would also be a fun classroom project to teach kids about Australia and the animal world. 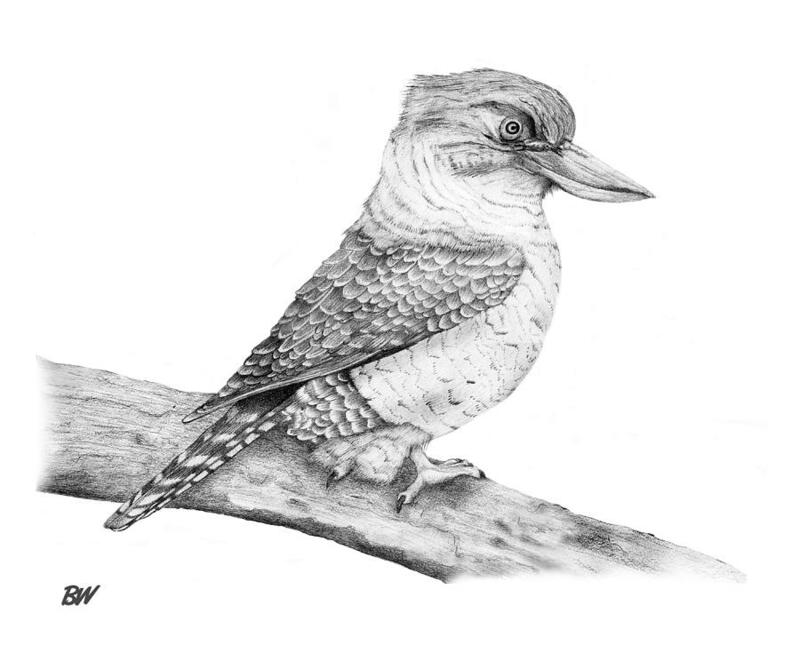 Draw an outline of a Kookaburra's face on a piece of white paper using a black marker. Cut out the drawing, and glue it to a piece of cardboard. their findings at the �Kids Teaching Kids? conferences. The success of this pilot program has resulted in Birds Australia establishing a new program �Listening To Our Birds�and Answering the Call�.